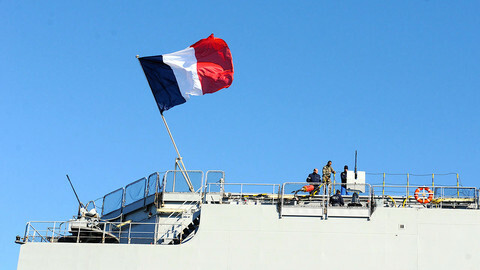 French president Francois Hollande suggested Wednesday (22 April) that France might not deliver its mistral warships to Russia but refund Moscow instead. "On the Mistrals, all options will be addressed. At the moment, as I have said, the Mistral delivery is not possible in the current context," Hollande said at a press conference in Paris with Ukrainian president Petro Poroshenko. 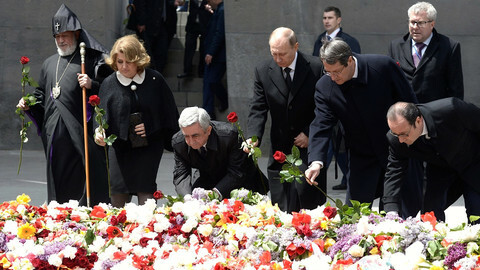 Hollande is due to meet Russian president Vladimir Putin on Friday in Yerevan, where they will attend commemorations for the 100th anniversary of mass killing of Armenians. 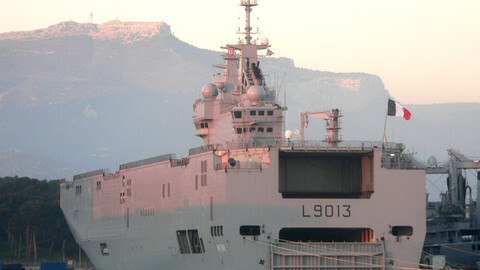 "If the ships are not delivered, I do not see how they could be paid," said Hollande, of the two helicopter carriers. 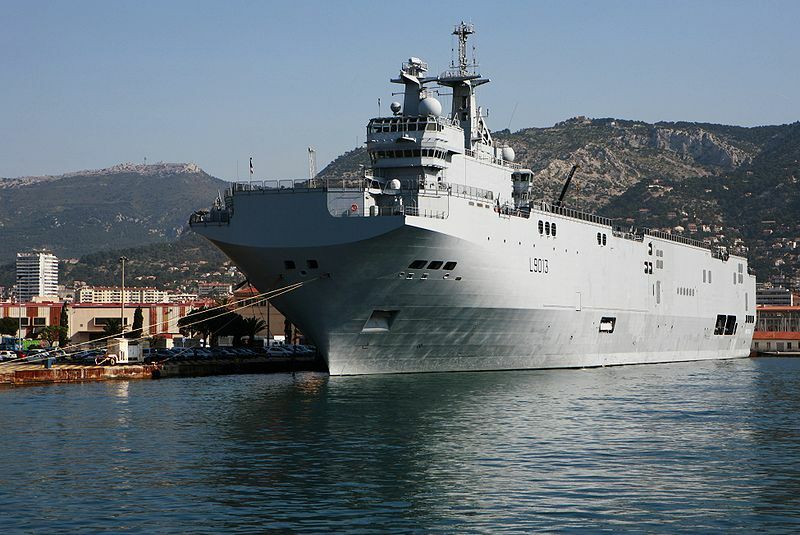 In 2011 France and Russia signed - during president Nicolas Sarkozy’s term - a deal for two Mistral amphibious assault ships worth €1.2 billion. Russia has already paid €800 million. 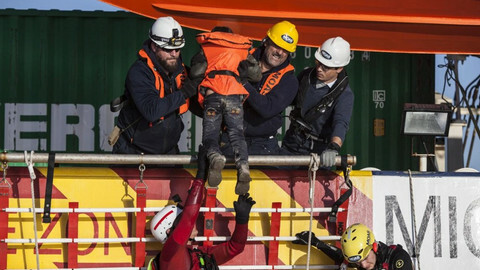 Hollande suspended the delivery of the first ship in September last year after the EU took sanctions against Russia for its involvement in the war in Ukraine. The suspension was upheld "indefinitely" in November. 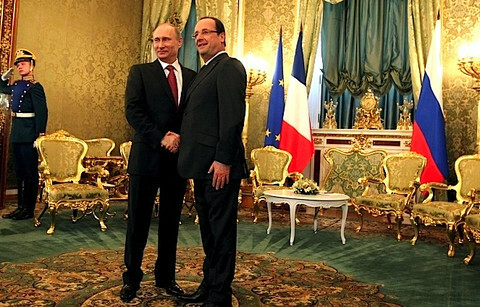 France and Russia have been discussing a settlement for some time and Putin opened the door last week to a compromise. "We will not demand penalties or excessive fines. 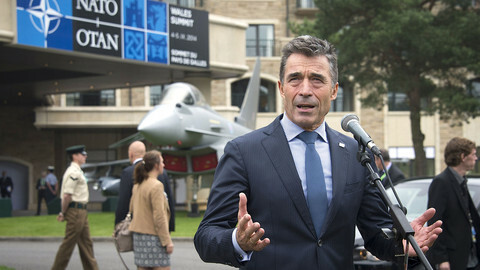 But we want our costs to be covered," he said on 16 April on Russian TV. Meanwhile last week, Poland, one of the staunchest opponents of the selling of Mistral to Russia, bought 50 Airbus helicopters from France. The €2.5 billion deal was seen by some experts as compensation for a possible French decision to scrap the Mistral deal and lose money on it. France and Russia have all-but reached terms on terminating a contract for two warships. 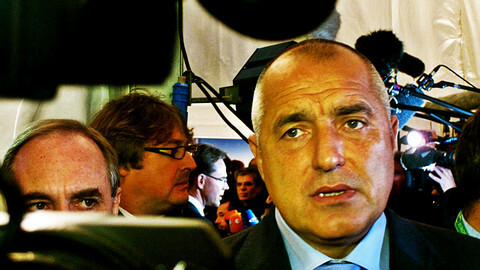 A senior Russian official has indicated the deal to buy two high-tech French warships has been definitively abandoned.